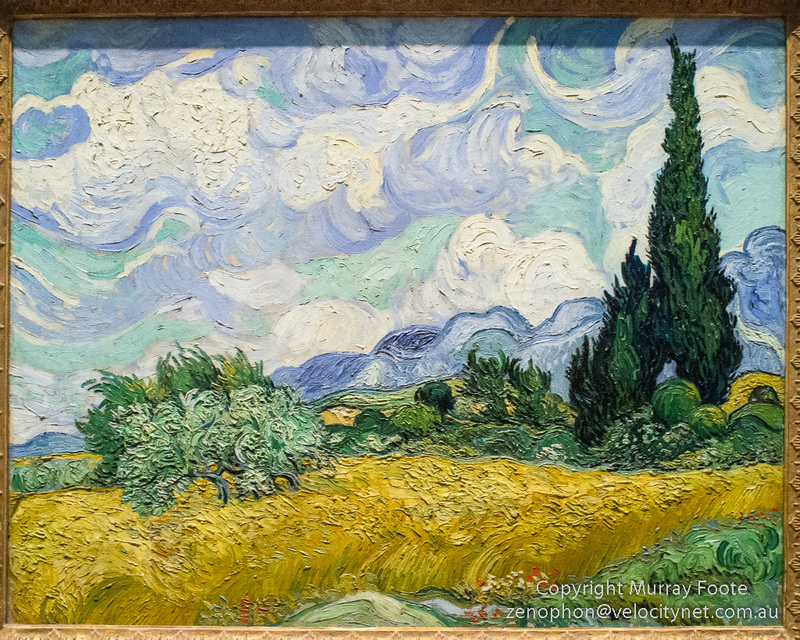 With time starting to run out in our New York trip, we visited the Met (Metropolitan Museum of Art) for the third time because there was still a huge amount we had not seen. 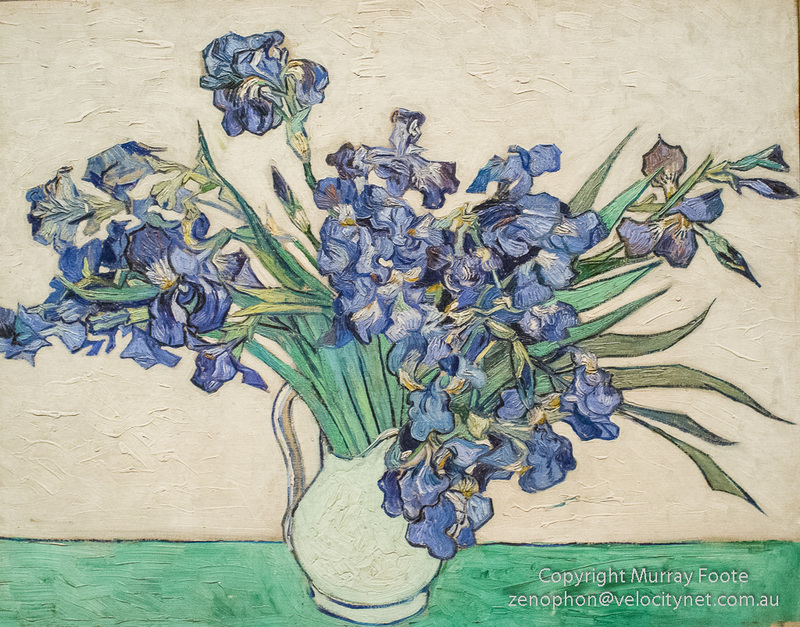 These first two images are of paintings by a Dutch artist from the nineteenth century called Vincent van Gogh. You may perhaps have heard of him. 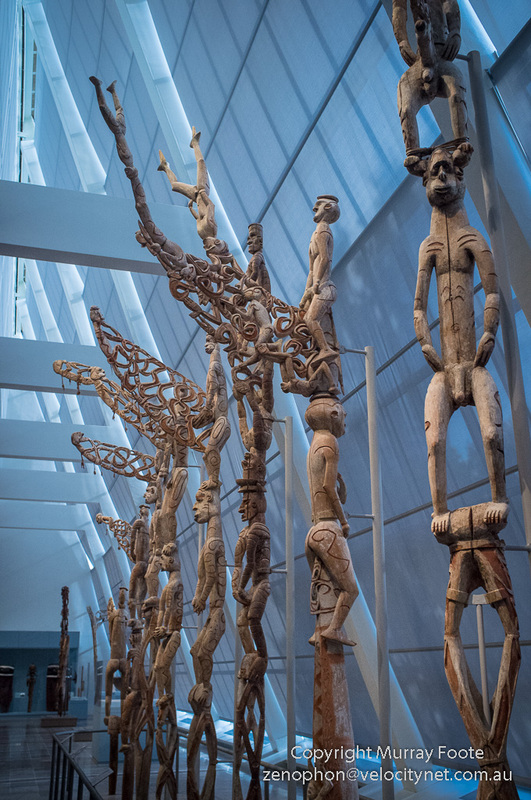 This image and the two following show sculptures by the Asmat people of south-western New Guinea. This is the carved prow of a canoe and the canoe behind it. The canoe is nearly fifty feet long and capable of carrying twenty people, who stand up in it to paddle with the oars that you see. 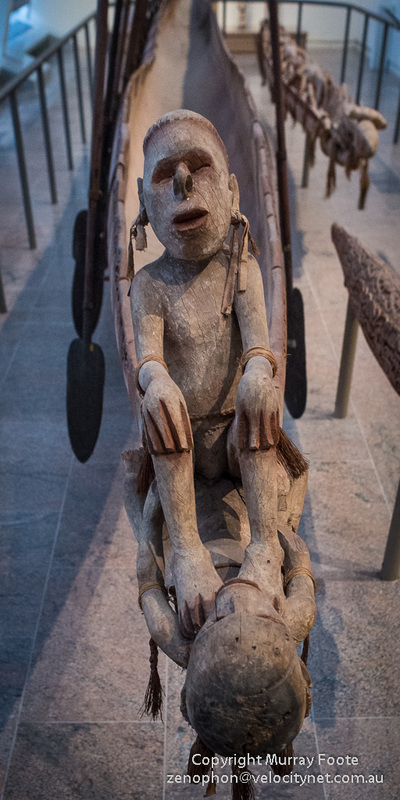 The seated figure in the prow is the deceased sister Banditis of the head carver Chinasapitch and the prone figure represents a young man who had recently been killed by men from another village. 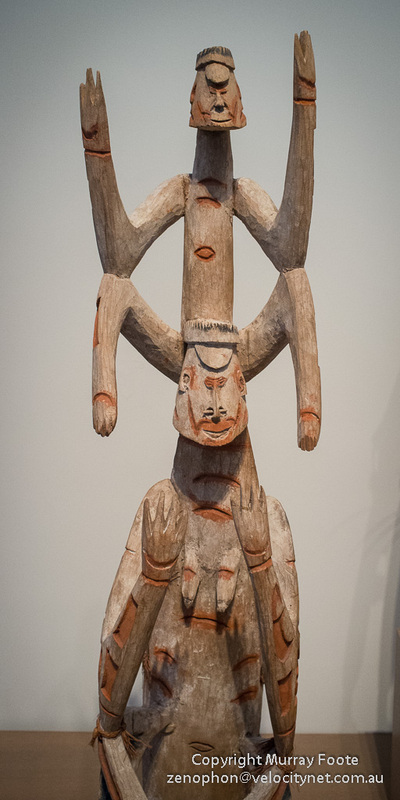 This is a double figure from Kamor village, mid-twentieth century. 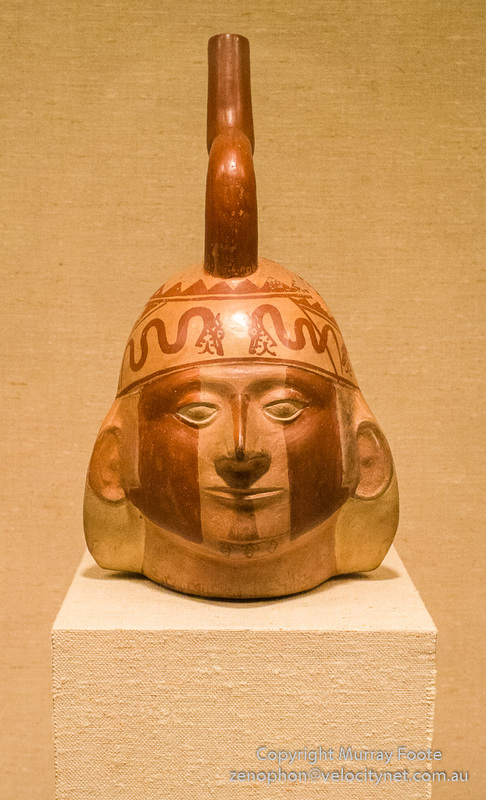 Also from the Moche, a Head Vessel from 100AD to 600AD. 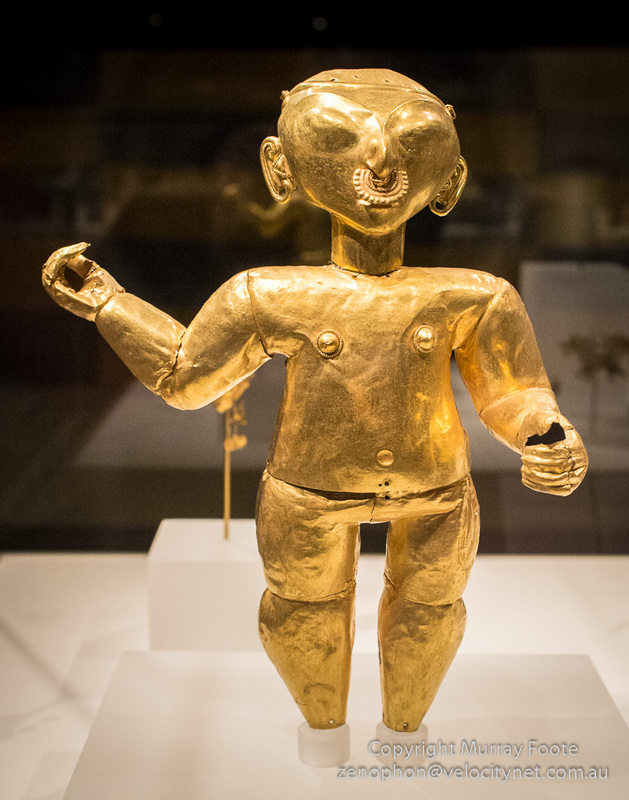 This is a gold figure which originally would have held other objects (now missing) and worn a headdress. Hammered from many pieces of fine quality gold, it is from the Tolita-Tumaco style area on the Equador-Columbia border along the Pacific coast, 0AD to 400AD. 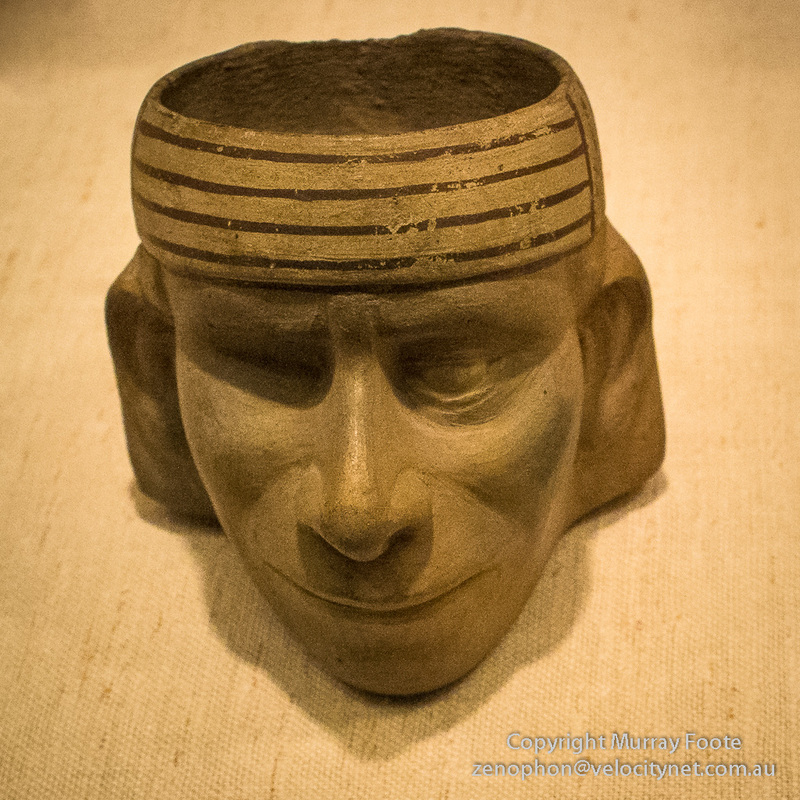 Further north and further back in time, this is an Olmec mask from 1000BC to 500BC. The Olmec were one of the earliest Meso-American civilisations. 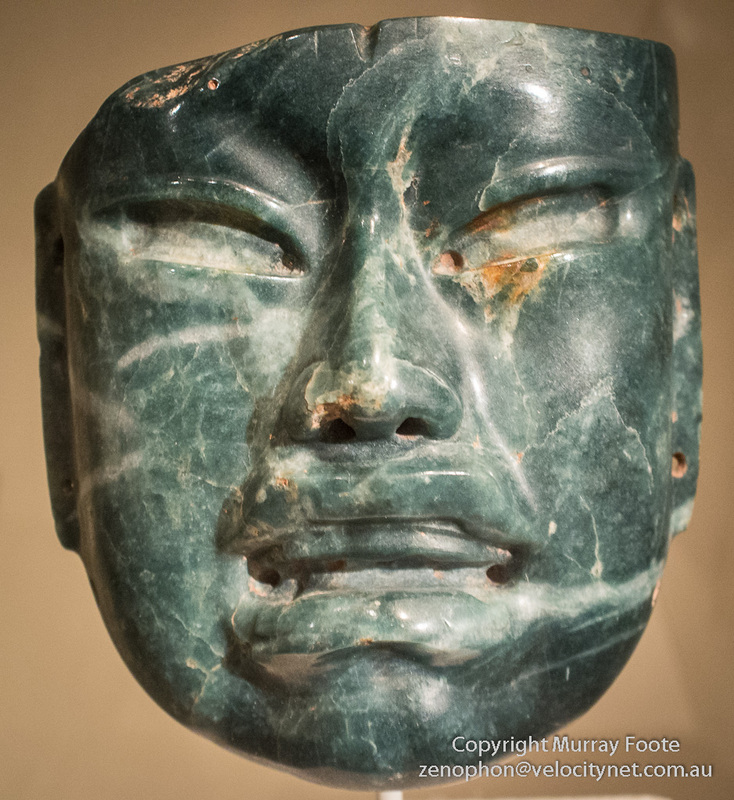 They were based in a Caribbean coast region of Southern Mexico and are also known for producing massive stone heads in a similar style to the Jadeite one above. The stone heads could weight as much as 40 or 50 tons and be three metres high. 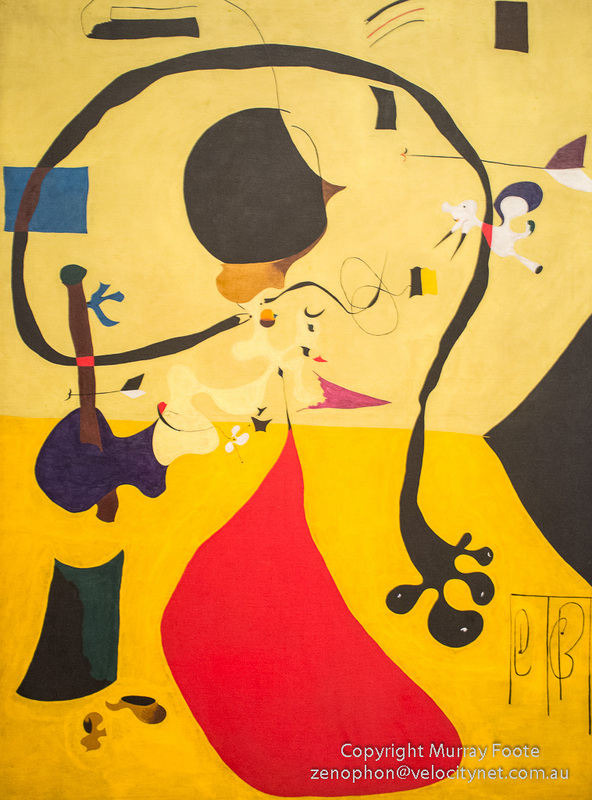 Back in the modern period, no prizes for recognising the work of Joan Miro. 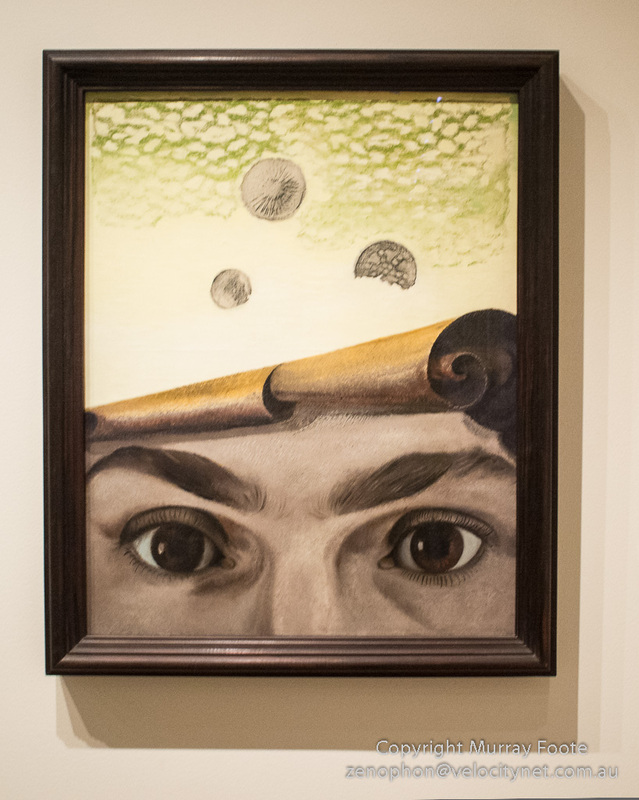 Called Dutch Interior (III) from 1928, it was inspired by postcards or Dutch genre scenes that he collected in a two-week trip to Holland. The central figure is an archer and it is possible that his style is somewhat different from the original postcards. 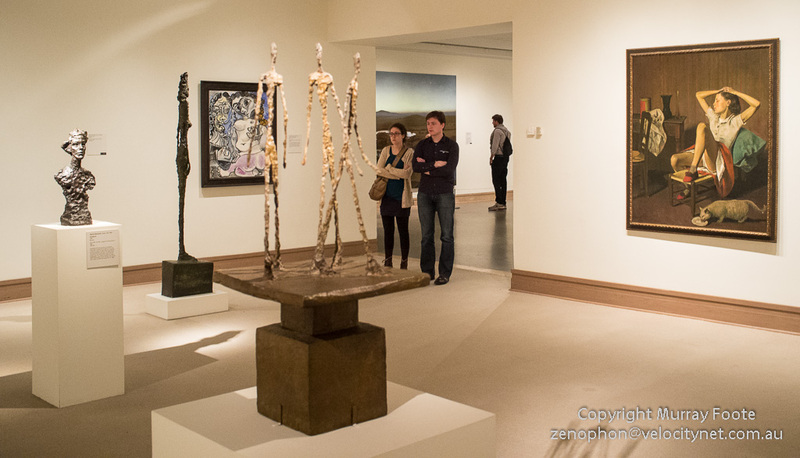 Picasso, Modigliani and Giacometti. With spectators. 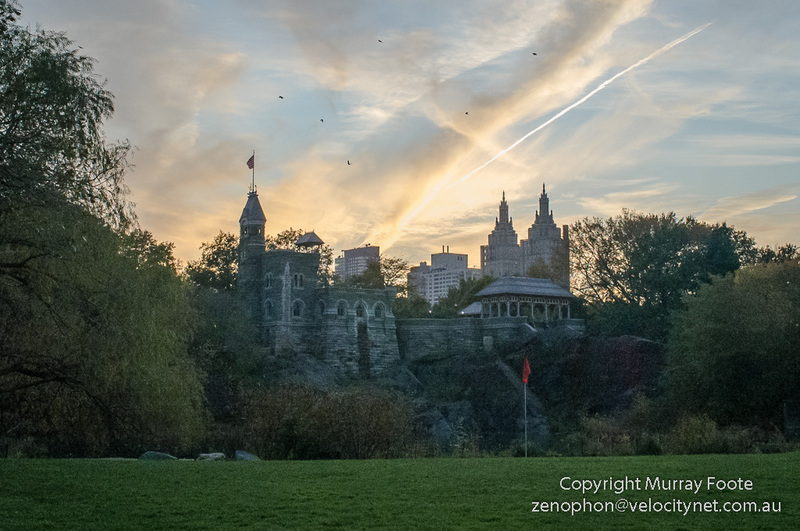 And the final image is a view including Belvedere Castle in the fading light across Central Park, as we walked back from the Met to the Subway.